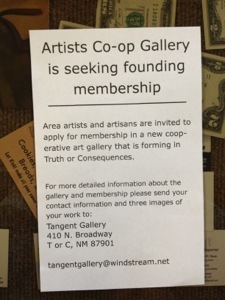 Got word last week that some folks are starting a new Artist Co-op in Truth or Consequences, in the former Redbone space. 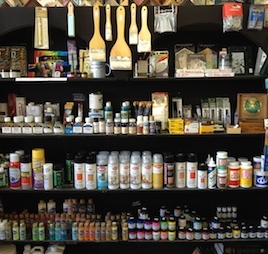 This is great news, as it comes on the heels of Percha Creek Traders (Hillsboro’s Artists’ Co-op that was open for the past several years) closing its doors in February 2013. 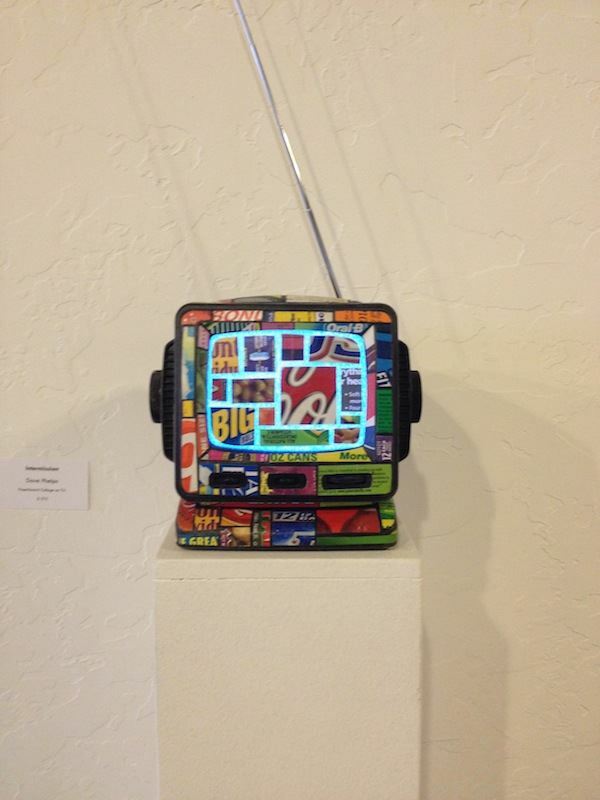 If you are interested in participating in the new Truth or Consequences Artist Co-op, email tangentgallery@windstream.net.